Brandon, Rutland County, Vermont.1 The census for the Brown family shows “Annora,”2 age 46, and the six children that we originally knew about – Patrick, age 18; John, age 16; Mary, age 14; Johanna, age 12; James, age 6; and, Thomas, age 4. There are some small discrepancies in their ages, based on known baptismal records, but, not enough to question whether or not this is the correct family.3 The Browns appear to have had a traumatic stay in Boston so it is understandable why they left; but, why Vermont? Rich deposits of brown hematite, used in making iron ore, are found near Forestdale in the northeast section of Brandon Township. As a result, there were two iron furnaces located in Brandon Township. 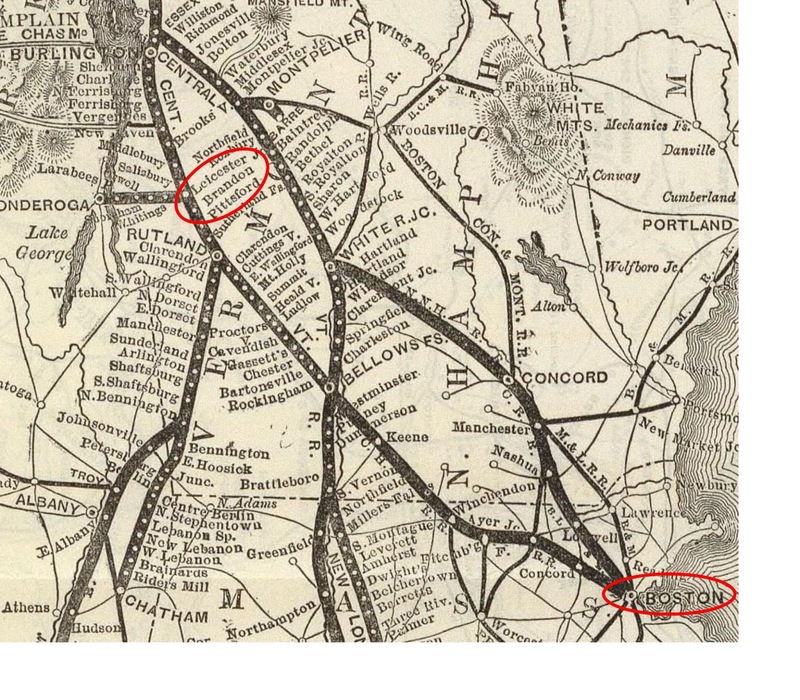 One was in the village of Brandon; the other was in Forestdale. Jobs were available in the forges and foundries in addition to those needed for excavating and hauling ore to the factories. Shovels, iron stoves, potash kettles and other varieties of iron castings were manufactured.7 Markets for the goods could be found all over New England and specifically in Boston. Could the Browns have had contact with representatives from the manufacturers which caused an interest in Brandon? surrounding Fanningstown. The earliest map I could find which identified specific individuals based on land ownership was from 1869. (See the map to the right. )13 I cannot identify a specific location for the Brown family or other people from this group. Since there is twenty years between the 1850 census and the publication of the map, some of the individuals listed in the census record would have died and many more would have moved away. However, a few of the landowners in the 1850 census, who were listed within a few pages of the Browns, are shown on the map either just south of Forestdale or southeast of the village of Brandon. Perhaps our family lived in one of those locations. While the Irish were living in Vermont in great numbers, they still were not treated as full members of the community. A few years ago, I had the opportunity to review an account book from one of the local physicians.12 Entries included the dates of house visits, names of the patients, and treatments. In attending to members of the Irish community, he did not give names. He referred to the patient as the “Irish servant of,” or an “Irishman.” He did, however, provide free clinics periodically to the community. (He was reimbursed by the township for his services). He still did not give the name of the patient, referring to them as an “Irish woman,” or an “Irish child.” Whether this was an early form of patient confidentiality because of their inability to pay, or some show of reluctance to accept the Irish, it was quite different than the way he referred to his other patients. The two oldest boys, Patrick and John, may have moved to Vermont before the rest of the family. Jobs were abundant in 1849 and 1850, and employment was hard to find in Boston, especially in winter months when shipping would have been slow. Wherever they lived or for what reasons they went to Vermont, they did not stay long. We don’t know if it was lack of employment14, the weather, which would have been much different from their native Ireland, or family ties, but we do know from church records that the two oldest boys, Patrick and John, were living in central Ohio by 1854, and, perhaps earlier. It seems that the family split up at this point. We will look at each family member in more detail in their own turn, but, for now, we will follow the mother, Honora Kelly Brown as she traveled on to the Chicago area. 1. United States Census, 1850, Family Search (https://familysearch.org/ark:/61903/1:1:MC2X-Z5D) Brandon, Rutland, Vermnt, United States; citing family 1636, NARA microfilm publication M432 (Washington, D.C.:National Archives and Records Administration, n.d.) Special thanks to Marion for finding the census record. 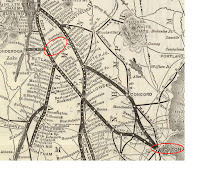 Just as I did not know the family spent any time in Boston until Marion found the death record for Ellen, I did not know the Browns were in Vermont until Marion found the census record shortly after we located the passenger list. 3. Patrick, who was born in 1830, would have been 19, Mary would have been 13, Johanna would have been 9, James would have been 4, and Thomas would have been 3. Notice there is no listing of Bridget, the other child shown on the passenger list. 9. Dunn, Mary Lee, Ballykilcline Rising: From Famine Ireland to Immigrant America, University of Massachusetts Presss, Amherst, MA, 2008. Mary Dunn devotes an entire book to the study of people from the townland of Ballykilcline in Roscommon in Ireland. Some were “assisted” in their emigration; others left on their own. 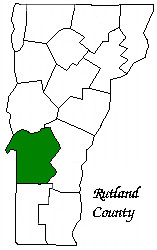 Many of them resettled in the area of Rutland, Vermont. 10. Buggy, Joe, Townland of Origin Blog, From Tipperary to Rutland County, Vermont, 12 May 2014 blog post. 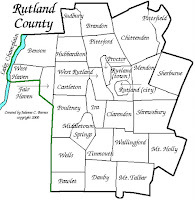 Available online at: http://www.townlandoforigin.com/2014/05/from-tipperary-to-rutland-county-vermont.html Information is from a list of men who naturalized in Rutland County, Vermont. 11. US Census, 1850, Brandon, Rutland, Vermont, op.cit. There is another family associated with the Brown family that lived in Brandon, Vermont. Mary Burns married John E. Brown (son of John Brown, one of the immigrant children of Honora and Timothy Brown). 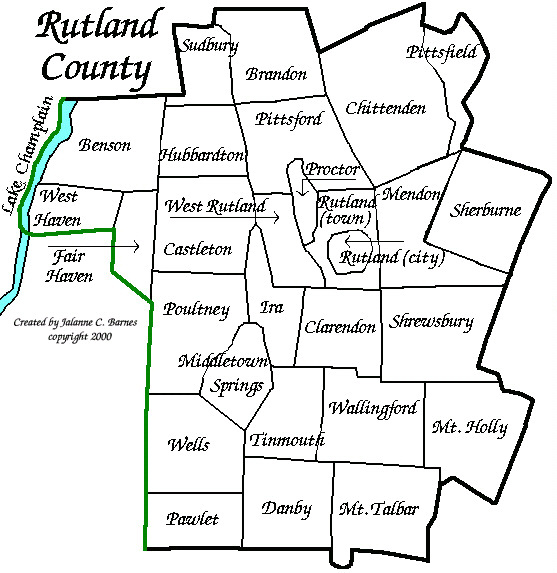 Her family (John and Margaret Martin[Kilmartin] Burns) lived in the Rutland area from the early 1850s to around 1880. Some of the family may still be there. I was tracking down a reference in Margaret’s Civil War widow’s pension records that referred to a letter from Dr. Backus who stated he had delivered two of her children when I ran across this resource. 14. Smith, op. cit., p.490. Many jobs were lost when John Conant & Sons sold their iron foundry to Howe, Blake and Carricut in 1852. They closed the business shortly after that.